You will then be taken to the payment screen where you can pay by Paypal, Debit Card or Credit Card. 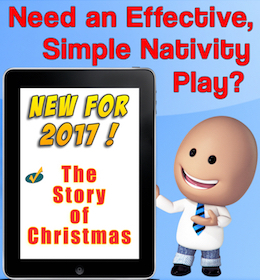 Once you have made your payment, you will immediately be taken to your download page in order to download your purchased Nativity Script Package(s). IMPORTANT NOTE: Please don’t worry if you are not in a position to download your script(s) immediately as you will also receive an email (to your paypal email address) from me containing your receipt along with your own personal download link. If you experience any problems you can contact me by email at angela@bestchildrensnativity.com/psevodlg and I will be happy to assist you. Please allow up to 48 hours for a reply but be assured that I will give it my urgent attention.